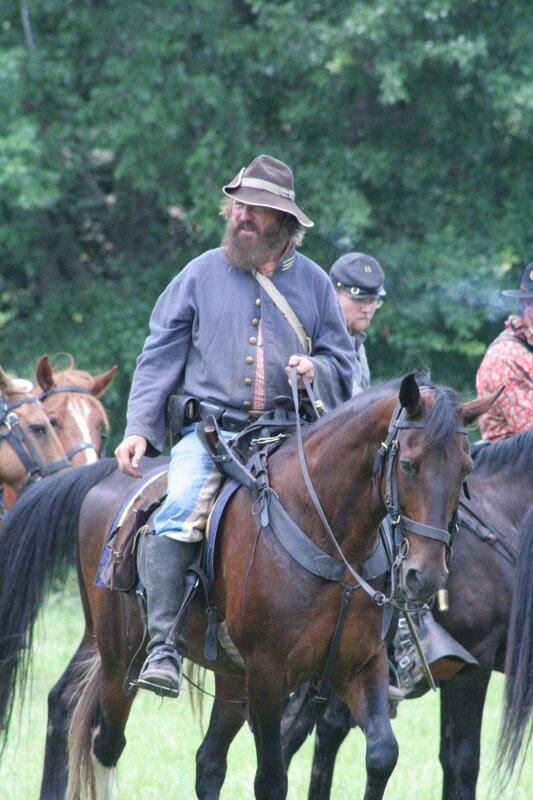 Save the Date : 2019 History Meets The Arts in Gettysburg, PA will be April 12 and 13 - More information to come. 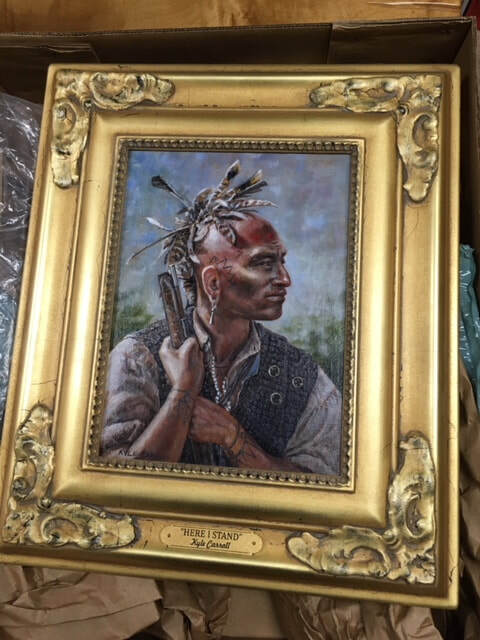 The Georgia National Guard recently contacted us about using my portrait of Tecumseh in an upcoming documentary. 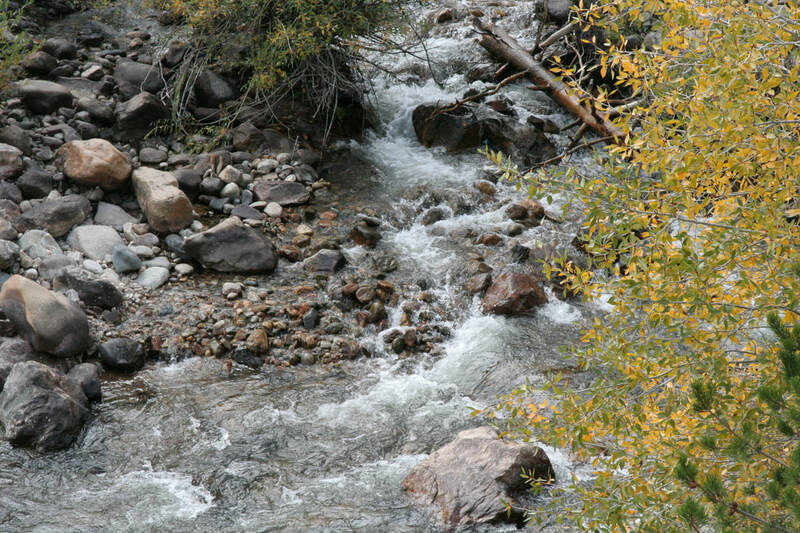 We were happy to cooperate with them and will post information on the finished film when it's available. 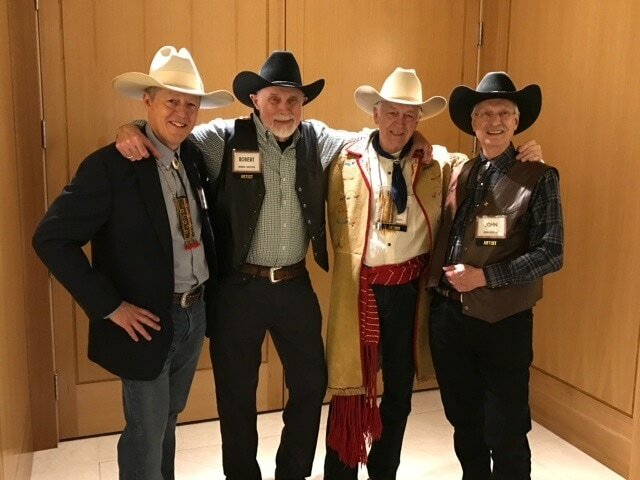 L-R Artist's Kyle Carroll, Robert Griffing, David Wright and John Buxton at the Booth Western Art Museum's "Boots and Saddles" event prior to this years Gala Auction in Cartersville, GA.
After successfully crossing the Cumberland Gap on horseback in May of '16, riders, family and friends see to their horses and gear. 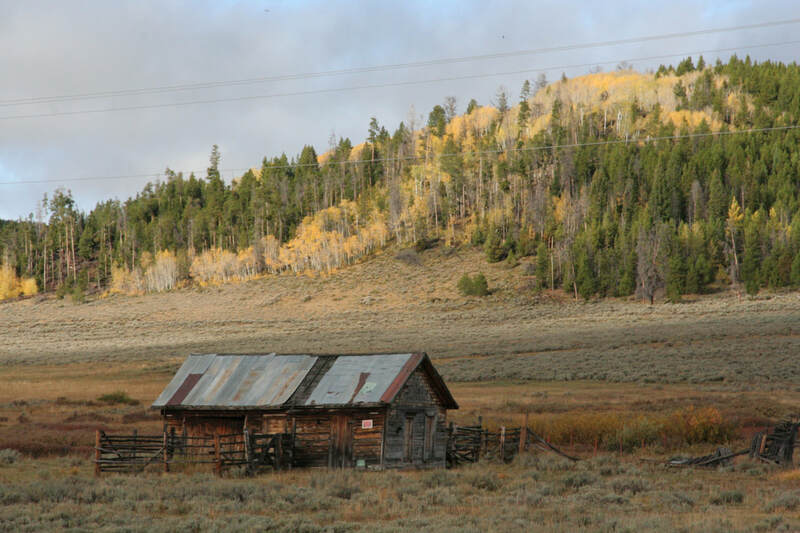 Kyle was privileged to be apart of the ride, adding some valuable "first hand" experience in 18th century travel. Mel Hankla, Fred Prouty, Kyle Carroll, David Wright, Michael Agee, Myers Brown and Jeremiah Browning at the end of the ride through the Cumberland Gap. 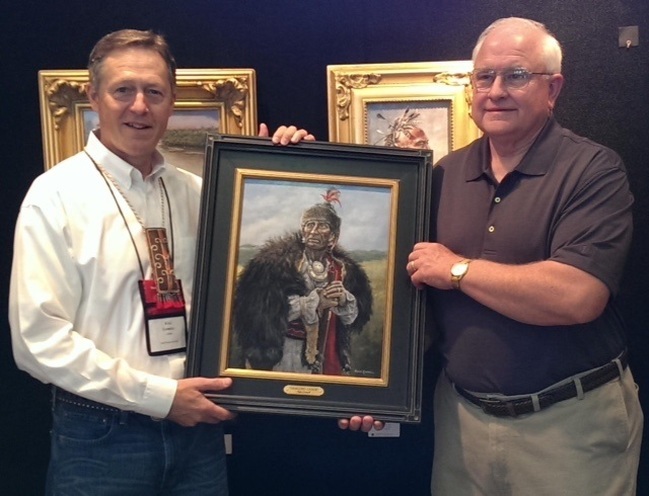 Wayne Escoe takes possession of DRAGGING CANOE, a piece he had commissioned at HMTA in Getteysburg. 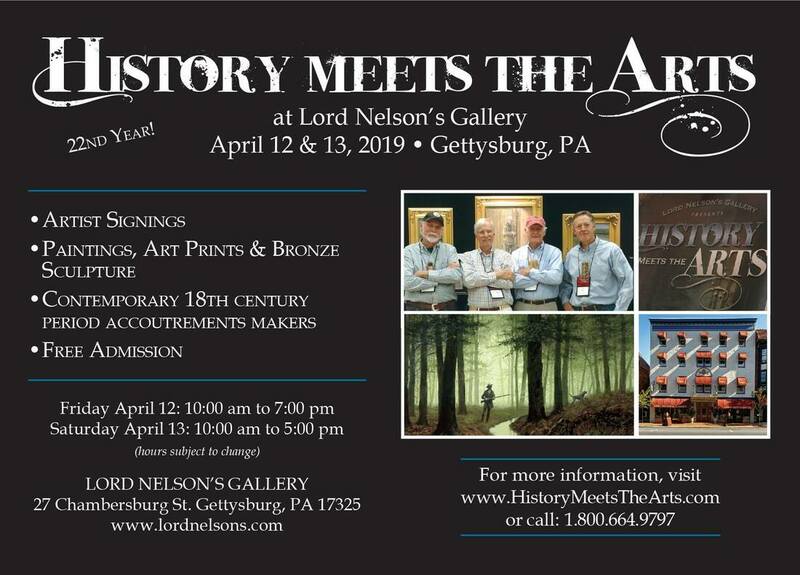 Friends, Ken and Linda Grimes stop by for a visit at Lord Nelson's History Meets The Arts in Gettysburg.